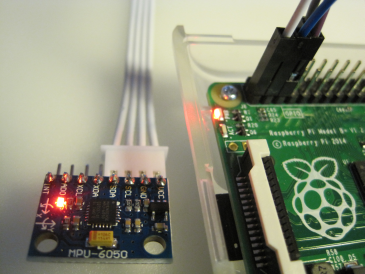 This blog continues from the previous blog Raspberry Pi and physical interfaces. First the push button & LED example is modified to include also another input, a hall switch. For the documentation, tool called fritzing is used. For the example source code, please see blog. These 2 separate tests were combined into one. If either push button is pressed or if the magnet comes close, then LED is turned on. Source file “test-buttonledhall.py” is shown below. In this case while loop is used instead of callback function. Hall switch used (TLE4905L) is unipolar, ie. reacts only to one magnetic pole, and “conductivity” is opposite (see datasheet). Photo and video are available. 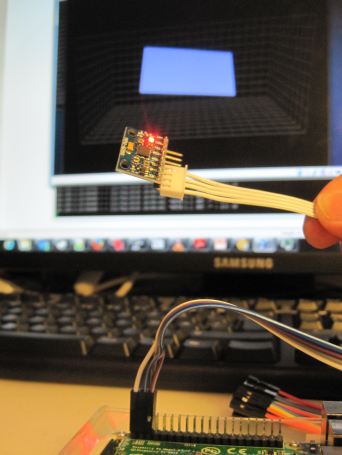 The digital communication with this sensor is more complex. In the datasheet, it is described as single bus communication. The 0′s and 1′s are not communicated by voltage, but by timing (in microseconds) on how long the voltage stays up (see C source code for more information). Luckily the link above contained a link to an executable. The purpose was to do a quick test if this sensor can be used with Raspberry Pi, and yes it works. I opened the cover, but unfortunately the connector is not compatible (inch vs metric systems). 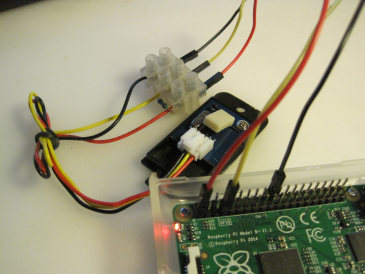 The picture below shows the sensor and 4 cables used to connect it with Raspberry Pi. After this, xubuntu VM was used to execute the OpenGL 3D program (level.py) to demonstrate the orientation. This entry was posted in DIY, For Fun or Interest, Gadgets, Hobbies and Other Interests, Innovation and new tech, Internet of Things and M2M, Raspberry Pi, Tests. Bookmark the permalink.